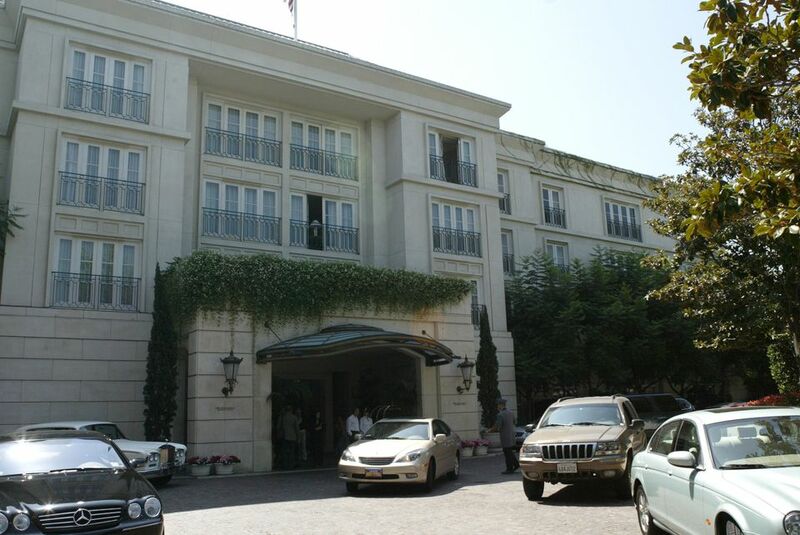 Opened in 1991, the Peninsula Beverly Hills is consistently rated one of the best hotels on the west coast. They receive five diamonds from AAA and five stars from Mobil. They are best known for their attentive, yet discrete staff, who lavish personalized attention on guests, especially those celebrating special occasions. The hotel offers 196 rooms including 36 suites and 16 private villas, most of which were refurbished in 2011. The Peninsula is centrally located in Beverly Hills within walking distance of Rodeo Drive, Century City and other shopping areas. Although the hotel faces Santa Monica Boulevard, which is a pretty busy street, most rooms face the gardens or side streets. The three diamond/five star Belvedere Restaurant sets the hotel's dining standard. The Living Room lounge serves afternoon tea daily and has a resident pianist most evenings. The Roof Garden offers healthful spa-certified meals in an alfresco setting. The Club Bar has live entertainment nightly. There's also 24-hour room service. Next to the rooftop pool you will find the fitness center with personal trainer, the Peninsula Salon, and recently renovated and fully staffed state-of-the-art Spa. If you want to spend time by the pool in summer, be sure to reserve a cabana or lounge chair as demand may exceed availability. 24-hour check in/check out allows guests to check in any time and stay for 24 hours after check in. So if you check in at 6 pm, you don't have to check out until 6 pm the next day. Complimentary car service is available to drive guests to destinations in Beverly Hills and Century City on a first come basis. Guest room cell phone link allows guests to receive room calls on their personal cell phone and vice versa. The Peninsula Beverly Hills welcomes pets, even larger dogs. Note: There are no designated pet-free rooms, but the hotel claims to do a special cleaning after pet visits to remove allergens. The Peninsula Beverly Hills has long been a popular haven for people recovering from cosmetic surgery undergone in Beverly Hills and vicinity. In 2015, the Peninsula partnered with Beverly Hills Medical Concierge to help facilitate guest access and recovery with an elite group of surgeons and medical practitioners in the Beverly Hills area.